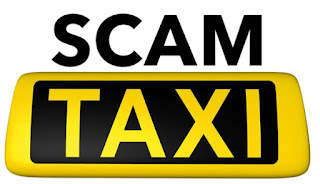 The Hotel Taxi Scam you need to avoid! This scam in essence is a common play conducted by Hotels across the world that do not value their clients best financial interests. 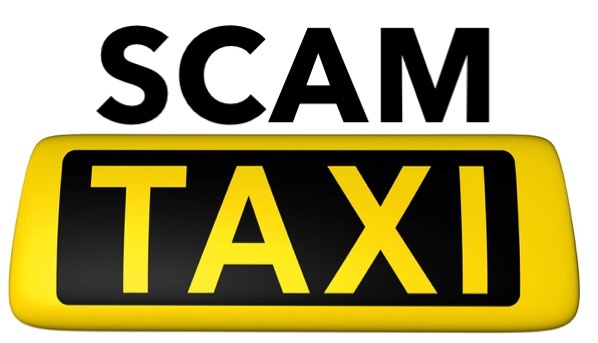 In its simplest form, whenever a Hotel Guest requests to the Concierge or Reception for a Taxi to the airport or wherever, the Hotel calls a Taxi Company or worse still a friend of someone with whom they have crafted a commission based deal. Essentially the commission becomes a kind of surcharge and the Hotel Guest will end up paying significantly more for the ride. The minimum mark up is around 5 euro and the maximum can even go up to 50 euro in extreme cases for longer rides. This scam manifests its way in various forms around the world. At London Heathrow Airport Hotels for example, commonly private cars are used (even unofficial on occasions). Some 5 star Hotels justify the unofficial surcharge by arranging for a Limousine or Luxury car, even if you just asked for a mere Cab. SOLUTIONThe first rule of the thumb is to simply never blindly trust a Hotel Concierge or Reception again to organize your Taxi trip to the airport or elsewhere. A good tactic in city Hotels is to locate a nearby rank and walk there each time. You will notice a significant difference in cost. Failing that, go onto the Internet and look for a Taxi Company. Call them yourself. If possible meet the Cab just outside the Hotel so that the Concierge or Reception don't try to get a piece of the action. Each time you use a Taxi that offers a good service at a reasonable price, remember to ask for the number. In this way you can build your own Global Portfolio. This comes in very useful when you need to find a Cab and you find yourself exposed. In the case you have no other option but to use Reception, ask for the price beforehand and judge with common sense. A1 Bel Red Town car has town car, limo, airport taxi and shuttle services on minimum Cost Of Taxi. Your posted services are very useful i really like to visit your posted services. informative article love to visit your site again.